In this light, therefore, he came to the end of the valley. Now I saw in my dream, that at the end of this valley lay blood, bones, ashes, and mangled bodies of men, even of pilgrims that had gone this way formerly; and while I was musing what should be the reason, I espied a little before me a cave, where two giants, POPE and PAGAN, dwelt in old time; by whose power and tyranny the men whose bones, blood, and ashes, &c., lay there, were cruelly put to death. But by this place Christian went without much danger, whereat I somewhat wondered; but I have learnt since, that PAGAN has been dead many a day; and as for the other, though he be yet alive, he is, by reason of age, and also of the many shrewd brushes that he met with in his younger days, grown so crazy and stiff in his joints, that he can now do little more than sit in his cave’s mouth, grinning at pilgrims as they go by, and biting his nails because he cannot come at them. That hand that from it hath deliver’d me! But since I live, let JESUS wear the crown. Others were tortured, not accepting deliverance, that they might obtain a better resurrection. Still others had trial of mockings and scourgings, yes, and of chains and imprisonment. They were stoned, they were sawn in two, were tempted, were slain with the sword. They wandered about in sheepskins and goatskins, being destitute, afflicted, tormented—of whom the world was not worthy. They wandered in deserts and mountains, in dens and caves of the earth. Therefore we also, since we are surrounded by so great a cloud of witnesses, let us lay aside every weight, and the sin which so easily ensnares us, and let us run with endurance the race that is set before us, looking unto Jesus, the author and finisher of our faith, who for the joy that was set before Him endured the cross, despising the shame, and has sat down at the right hand of the throne of God (Hebrews 11:32 – 12:2). The testimony of faithful believers is an encouragement for us to press on and keep our eyes fixed upon Christ. Bunyan was aware of the cost of following Christ. He was imprisoned for his faith, even as he was writing The Pilgrim’s Progress. His faith encouraged others, and he drew encouragement from those who had suffered before him. During his imprisonment at Bedford, his two possessions were his Bible and a copy of Foxe’s Book of Martyrs. The first dweller in the cave was Pagan. England was formally a place of paganism with no light of the Gospel. Then Pope moved in and eventually Pagan died out. Giant Pope represents the Roman Catholic Church that sent missionaries to England and converted the land to its traditions. Both of these giants have been responsible for persecuting pilgrims and sending many to their death. In Bunyan’s day, following the Protestant Reformation, with the rise of the Commonwealth and influence of the Puritans in England, the Roman Church had grown weak. 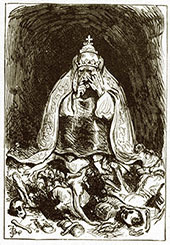 Christian sees old Giant Pope sitting near the mouth of the cave taunting him as he goes past, but unable to cause him any harm. Though once powerful and formidable, the giant is now weak and feeble. In Part 2 Pope no longer inhabits the cave and another giant, named Maul, has taken his place. Maul represents Anglicanism. He has a club that represents political power—power granted to the Church of England by the monarchy. With the club he gives blows to those who will not conform to his ways. Those blows took the form of laws passed between 1661 and 1671 in England designed to legalize persecution and suppress all meetings for non-conformists. Maul is defeated in Part 2 by Great Heart (an allusion to the Declaration of Liberty in 1672 and Act of Toleration in 1689). Christian’s progress even in the face of giants is a reminder of God’s ultimate power and sovereignty over all our trials. God’s plan and purposes are always good, and they include every trial as well as every triumph. It is through trials that our faith is strengthened and our deliverance is made sweet. The Valley of the Shadow of Death was dark and difficult, yet Christian learned to trust God more fully and now leaves the valley with praises and singing. May God grant us such grace that we would learn to trust and praise Him in and through every trial. * The seven giants in Bunyan’s allegory are Pagan, Pope and Maul (these three made their home in the cave), Despair and his wife Diffidence (whom Christian will encounter later in Part 1 at Doubting Castle), Slay-good (who terrorizes the land near the Inn of Gaius in Part 2), and Grim or Bloody-man (who lurks near Palace Beautiful in Part 2). Lessons from the Psalm Inscriptions: What Can We Learn? I. DESIGNATION: Those titles using the Hebrew preposition לֹ lamed. They can denote the author(s) of the psalm, the recipient(s) of the psalm, to whom the psalm is dedicated, or possibly whom the psalm is about. III. EXPLANATION: Titles that provide a historical connection for the psalm. They relate the circumstances surrounding the composition of the psalm. The psalms set a precedent and paradigm for church music through the ages. Although a measure of uncertainty still surrounds the meanings of some of psalm inscriptions, they are a part of God’s revelation in Scripture and have relevance for the present day. God has given us enough light to reveal some of their purposes within the Psalter. Those who serve God with the gift of music can especially benefit from a knowledge of these headings. 1. The psalm inscriptions reveal a wide range of poetic and musical forms found in the psalms. These include psalms, songs, prayers, praises, testimonies, michtams, maschils, and shiggaions. This diversity in the Psalter sets a precedent for the vast tapestry of poetic and musical forms used in worship throughout church history. 2. The psalm inscriptions display a wide range of usefulness for music in worship. The psalms shape and accompany much of the content of Old Testament worship. They not only function as musical compositions, but also as prayers, wisdom literature and liturgical texts. According to the inscriptions, the poetic and musical forms in the Psalter provide helpful structure for singing, playing music, celebrating (at a wedding), petitioning God (in time of need), praising God, giving thanks to God, grappling with injustice, repenting of sin and declaring faith in God as He is at work in the lives of His people. 5. 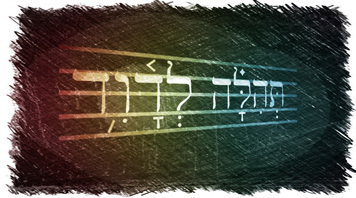 The psalm inscriptions highlight the connection between music and God’s work in human history. They link the psalms to real situations recorded in Scripture and actual worship practices of ancient Israel and the Temple. We sing the words penned by David and other Old Testament songwriters as they looked to God for strength and help. We join our voices with God’s people in past ages, singing the words that carried their praise and comforted their hearts. The psalms remind us that we are part of something much larger than what we see God doing in our lives today. We are part of God’s covenant promises and plan of redemption that has shaped all of human history since the Garden of Eden to the present day. 6. The psalm inscriptions intimate a place for personal expression (I and me) in music for worship. The psalms are the heartfelt and authentic cries of David, Asaph and other songwriters, expressing their petitions and praises, their thanksgivings and laments. Though many of the psalms began as individual expressions of worship, expressed in the first person (I and me), God’s people in all ages have identified with the psalms and found an affinity with their message. We sing the words of the psalmists as our own because they express common experiences and feelings, such as remorse over sin, repentance of sin, praise to God, thanks to God, and adoration of God. The psalms demonstrate that we can address God in personal and intimate ways, though corporately as the gathered people of God. 7. The psalm titles suggest a connection between the popular or familiar music of the culture and music in worship. The sound of the music in the Temple was not markedly distinct from the music of the people. Temple musicians borrowed from familiar tunes, styles and instruments of the day. The psalms set a precedent for the church throughout its history to harness the music of the world for the glory of God. This is evident in the New Testament as well. In Ephesians 5:19 and Colossians 3:16, alongside psalms, Paul lists hymns, a musical form borrowed from pagan culture, first used to honor false Greek and Roman gods, but now synonymous with music of the church. 8. The psalm inscriptions reveal that our worship of God should extend beyond our times of gathered worship. The Psalms of the Ascents (120–134) were sung by Israel as they journeyed to the Temple in anticipating of corporate worship. We see David and others lifting praise and crying out to God in many situations and circumstances, in times of joy and in times of need. We can pray and sing to God at any time and in any place and He will hear us and answer us. 9. The psalm titles set a precedent for care and planning for music in worship. The psalmists were careful to include instructions concerning how the psalms should be musically performed. This involved care in using appropriate instruments and tunings, care in using the psalms for appropriate occasions, and care in finding the right tune to fit with a certain text. The psalm titles teach us the value of being thoughtful and intentional in preparing for and leading worship. 10. The psalm titles highlight the value of ministry of those who compose, compile, plan and lead music in worship. They remind us to give thanks for songwriters, musicians and worship leaders in the church. We need to encourage them and pray for them. We need to pray that God will raise up more servants in the church who will use their musical gifts for His glory and benefit of His people. Psalm 4, 6, 54, 55, 61. This series is based on a seminar paper for “Special Research in Church Music” at Southwestern Baptist Theological Seminary (May 1995). Christian has had a long and difficult journey through the Valley of the Shadow of Death, but now the dawn is breaking. After being oppressed and confounded in the darkness, he welcomes the light of day with praise to God. He quotes from the book of Amos, acknowledging that God is the One who is sovereign over night and day, over darkness as well as light. And exposes and uncovers the darkness. And brings the shadow of death to light. And so we have the prophetic word confirmed, which you do well to heed as a light that shines in a dark place, until the day dawns and the morning star rises in your hearts (2 Peter 1:19). Upon them a light has shined. If we are to find peace and hope in this life, we must find Christ. There is nothing more valuable as we face the darkness of this world than laying hold of Christ in His Word. In Christ there is life and light. In Christ we have nothing to fear. He is our strength and salvation. Throughout The Pilgrim’s Progress Bunyan has emphasized the necessity of reading and heeding God’s Word. The story opens with Christian reading his Book in a field, where it warned him to flee from the wrath to come. He was directed to follow its light as he sought a way of escape from Destruction. He heard valuable lessons for his journey when the Word was opened to him at the House of the Interpreter. He was taught to wield the Word as his sword in the armory of Palace Beautiful. Now as light dawns in the Valley of the Shadow of Death, Bunyan highlights the importance of God’s Word for navigating the trials and temptations of this life. In the story, as the sun is rising, Christian gains a better perspective of what lies behind him as well as lies before him. He can better see the difficult trials he has just experienced and the dangers from which God has protected him. And he can better discern and anticipate what might lie ahead. The light gives him the advantage. In the light the fiends of the valley are driven back. Likewise, in the light of God’s Word, we are better able to make sense of previous trials. And we are better prepared to face new trials. The light allows us to see the true nature of sin and temptation. In the light sin loses its power to allure and confuse us. We see it as abhorrent and conspicuous. In the light we see the ploys and perils of sin. We can better steer clear and avoid its entanglement. In the light we see the charm of this world fade and grow dim, outshined by the beauty and splendor of Christ. Nothing that sin or this world can offer us will ever compare to the joy of knowing Him. We need God’s Word to keep the light of Christ shining brightly on our path. The light of day makes Christian both thankful and careful. He is grateful for all that God has brought him through and vigilant to stay clear of snares that would draw him away and threaten his soul. The Way is filled with danger. And even greater dangers lie ahead for Christian. But in God’s mercy the sun is rising and Christian can see the Way forward. As he presses on he recounts with Job “the days when God watched over me; when His lamp shone upon my head, and when by His light I walked through darkness” (Job 29:2–3). 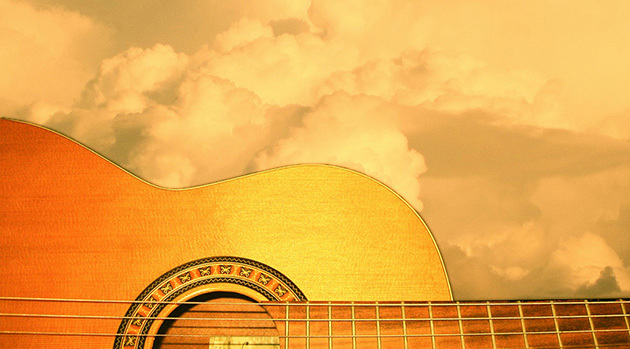 If you are a guitarist looking for music to play this Easter weekend, here are some suggestions. These hymn transcriptions are free downloads (PDF). They can be used for accompanying congregational singing, playing prelude or offertory music, or simply playing for your own enjoyment. Click on the hymn title to view or download the free sheet music.